The company admits the human resources department failed to follow through on an investigation into a racially-charged video aimed at a black employee. Dewitt Lambert left his Alabama home in 2012 intent on making a better life in the Bay Area. The 45-year-old electrician had his sights set on Tesla. After three years of trying, in the summer of 2015 he finally landed a dream job working in the car maker’s Fremont factory. But what he says he experienced at work is far from what he expected. He was met with coworkers who he says harassed him and used racist language, and a human resources department that neglected to follow up after learning that employees made a threatening video aimed at him. On Monday, Lambert filed an 11-count lawsuit in Alameda County Superior Court, alleging the company failed to prevent damaging abuse from happening in the workplace. Lambert is currently on medical leave for work-related stress. In the fall of 2015, factory workers got ahold of Lambert’s cell phone and secretly recorded a video. Lambert, who is black, said the video is proof of the race-based harassment he says he often experienced on the production line, where he installed seatbelts in Tesla’s Model X and Model S cars. 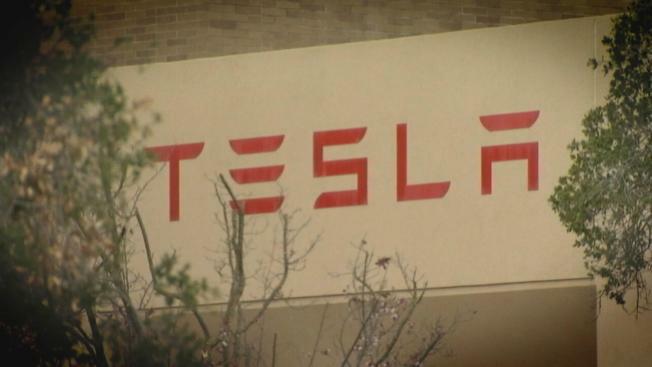 Although Tesla’s human resources department viewed the threatening video last summer, NBC Bay Area has learned the company failed to investigate the conduct and failed to immediately discipline the individuals involved. Copher said the human resources executive who viewed the video failed to hand off the case to another investigator when that person left the company. The conduct captured on video was never investigated to conclusion, Copher said. Lambert said he had previously raised concerns to the company about five of his coworkers, including three seen in the video. He said they repeatedly used racist and lewd language and engaged in inappropriate horseplay. He said one of his coworkers stuck a drill gun into his rear end. Lambert said that employee eventually got promoted and oversaw his work. In the fall of 2015 Lambert said he notified a supervisor about the behavior, and in the winter, the human resources department. He said it didn’t appear as if the company took any steps to stop the harassment. Copher said Tesla did investigate Lambert’s initial complaint when she said the human resources department first learned of the claims last spring, but that the company couldn’t substantiate them. She said the company interviewed Lambert’s coworkers, but that conflicting accounts made it impossible to determine with clarity that Lambert’s claims were accurate. The human resources department coached the employees on proper workplace conduct and the harassing behavior stopped, Copher said. Around the same time, Lambert was transferred to a different line. Last summer Lambert was called into a meeting with human resources in response to an unrelated matter. During that meeting, a company representative discovered the threatening video on Lambert’s phone. Lambert’s coworkers made the video months earlier without his knowledge, before the company’s first investigation into the allegations of racist language. The 58-second clip shows employees laughing and flashing gang signs. One employee is heard saying he would shred Lambert into pieces and send his body parts to his family members. The company opened a new investigation, but Lambert said the human resources department never followed up and that his coworkers never got in trouble. Copher said the company is now taking steps to discipline the employees involved in the video, which could include written warnings all the way up to termination. To better manage internal investigations, Copher said the company is creating a global tracking system of all human resources complaints. Additionally, Copher said the company is expanding its anti-harassment and anti-discrimination training to all factory employees. Even though the company moved Lambert to a different part of the factory after its investigation into Lambert’s first complaint about harassment, he says for months the men continued to intimidate him by glaring at him when they walked past his work station. He says he continued to make complaints to the human resources department. He told NBC Bay Area he doesn’t feel safe working at Tesla. Copher said Lambert only recently reached out to the human resources department about his new concerns. In February he wrote an email to a representative asking for help. Copher said Tesla reopened Lambert’s case earlier this month, and that’s when the company learned that the probe into the racially-charged video slipped through the cracks. The human resources department was unable to substantiate Lambert’s most recent allegations of intimidation, Copher said.